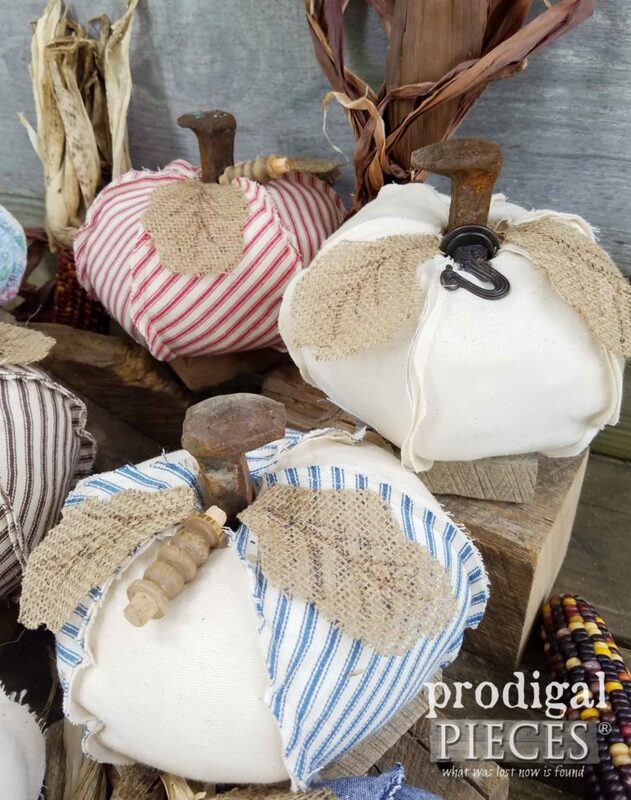 Celebrate the season with this rustic repurposed pumpkin made from reclaimed barn wood, rusty railroad tie spike, and a handmade cloth body. See full description below. 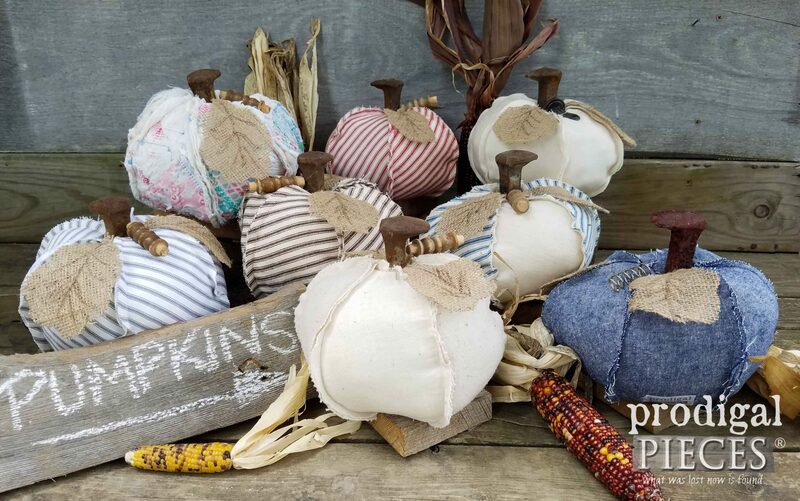 Celebrate the season with this rustic repurposed pumpkin made from reclaimed barn wood, rusty railroad tie spike, and a handmade cloth body. 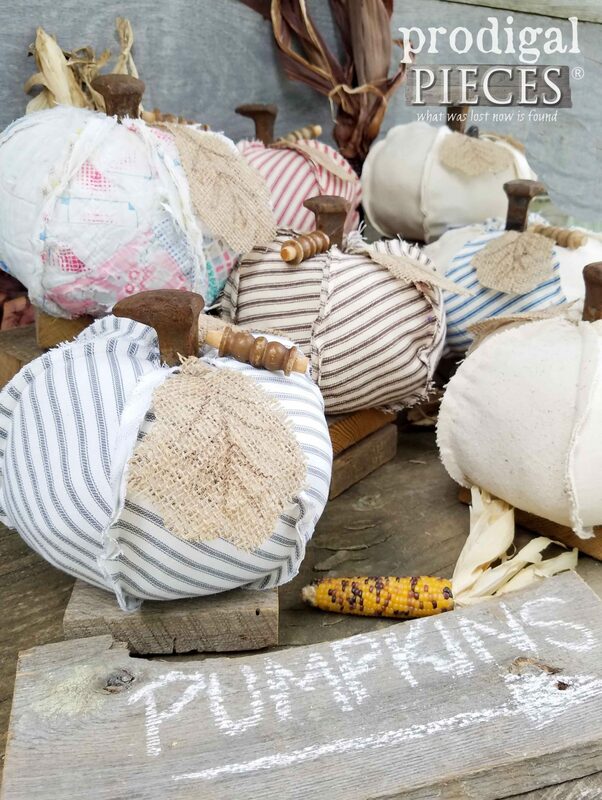 A fun fall / autumn decoration with burlap leaves, and reclaimed finds (springs, turnings, hooks) as vines. 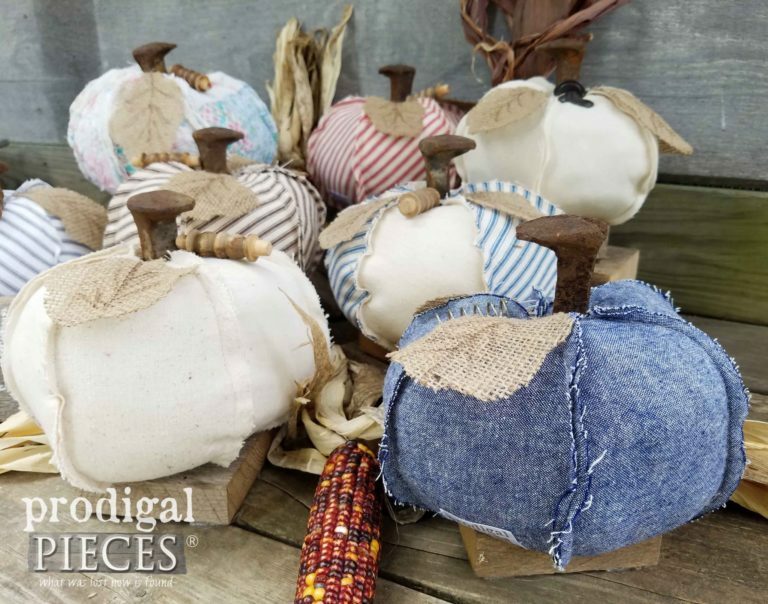 Also, this plump cutie is designed with a primitive touch to display on your porch, shelf, table, mantle…anywhere! (pssst…no worries. – there is felted sweater pads on the bottom to protect all surfaces) Perfect addition to your fall décor in your farmhouse, industrial, primitive, rustic, cottage, shabby chic, or vintage eclectic decor. 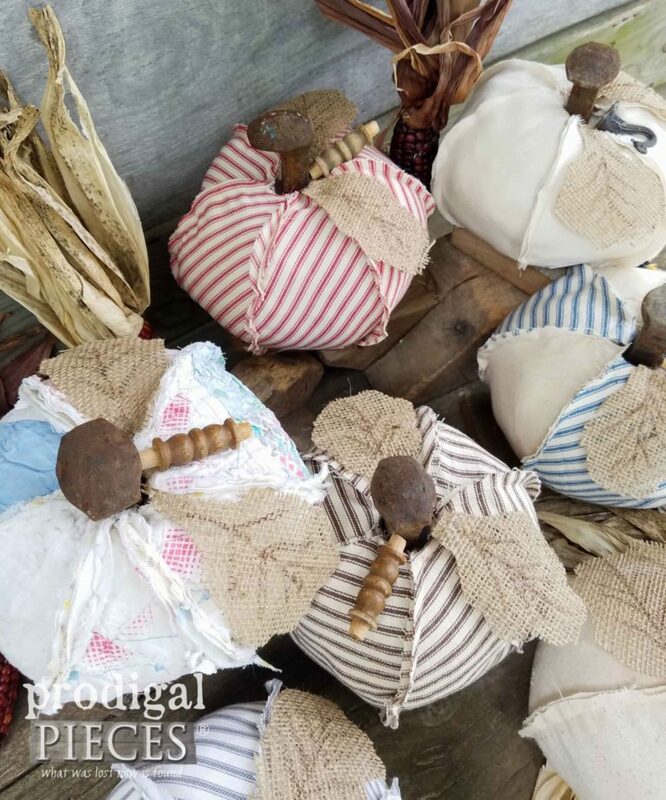 Prodigal Pieces reclaims furniture through various methods (flea markets, estate sales, auctions, etc). We alter each piece as stated by painting, distressing & refinishing. Also, we may replace hardware, re-glue the drawers and other misc. repairs that might need done to bring back life to the piece. 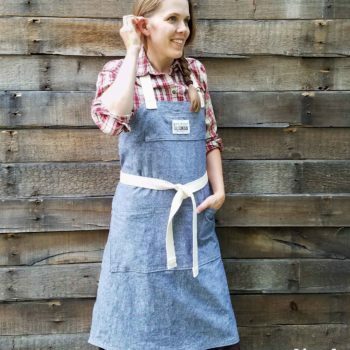 Our items are vintage, reclaimed, upcycled and they may have age-consistent wear & tear. Many pieces have had repairs sometime in their history & may have been customized. In addition, we take care to be sure our photos and descriptions are an accurate representation of each piece. Item will be shipped within 3 business days of receipt of payment. Item can also be picked up locally. We are located in Northeast Ohio – just between Cleveland and Columbus. We do offer combined shipping, so please contact us PRIOR to purchase of multiple items. Likewise, if you would like this shipped internationally, please contact us to set up a shipping quote. Oh how I LOVE this Pumpkin!! SO adorable!! 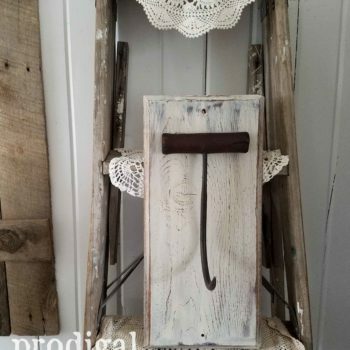 I chose the Brown ticking stripe- the Rusty Nail Railroad Tie for the stem is so cute, and the piece of Barnwood it sits on really makes it special!! I will keep this out all year long- not just for Autumn!! Oh! 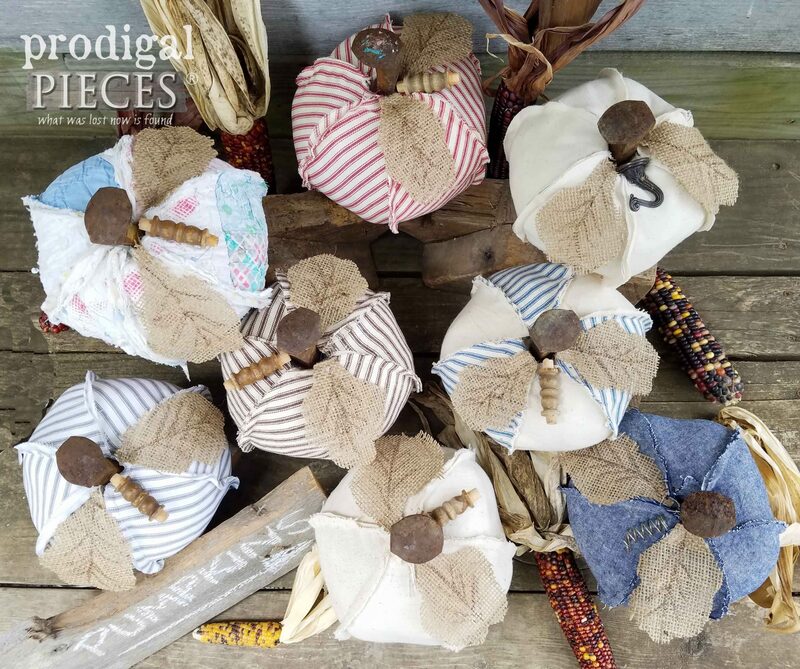 And did I mention the super cute Prodigal Pieces tag that comes with it??!! Priceless!!! Thank you Larissa- it’s beautiful!!! You are the sweetest, Sharon. I do believe you just made my day…my week! Thank you.